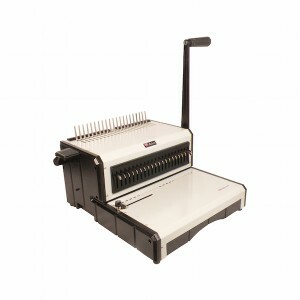 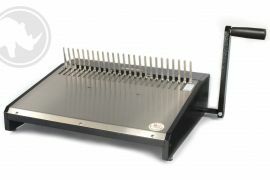 The Rhin-O-Tuff 3250 CL Electric Punch & Binder is the perfect addition for any office space; it can accommodate many document sizes and its vertical punch helps reduce misalignments and punch errors. 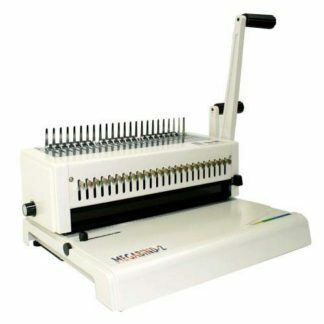 This coil binding machine is simple to set up and easy to operate, and takes up much less space than other machines, and since the motor only runs when it’s activated, it’s great for smaller spaces where noise is a problem. 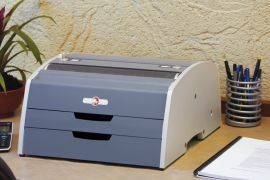 If you’re wanting something functional and sleek that you won’t have to fuss and fiddle with, the Rhin-O-Tuff 3250 CL Electric Punch & Binder is just the machine for you! 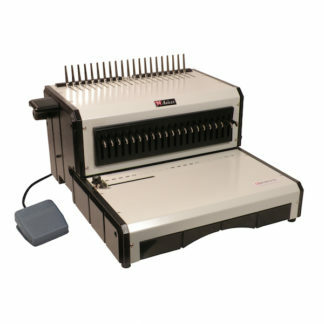 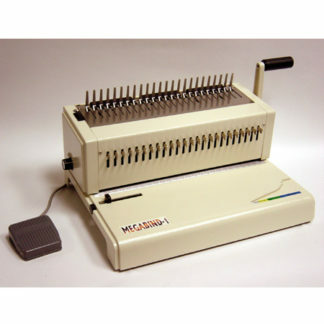 This electric coil binding machine comes with a three-year manufacturer warranty.